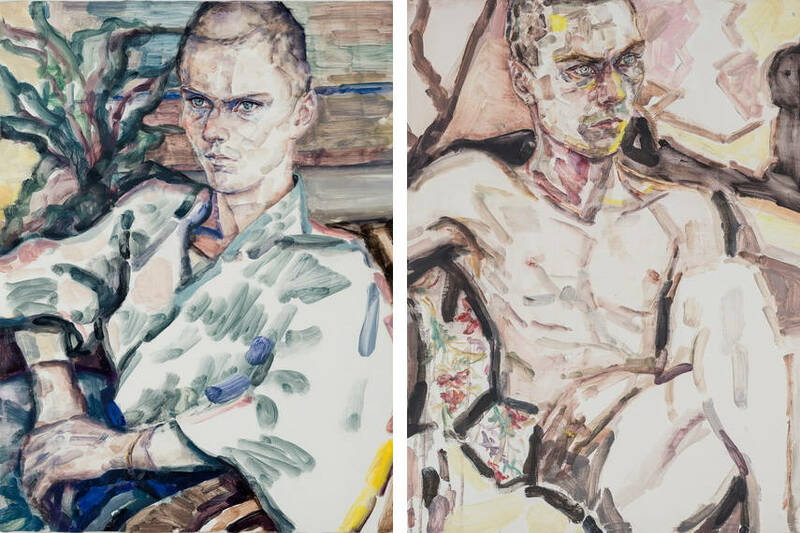 The whole painterly practice of Elizabeth Peyton has been marked by the particular genre of rather intimate and sensible portrayal. The use of the genre is almost always led by the artist’s urge for analyses of one’s persona, but in this case, the very approach to psychologization is what makes it so different and quite authentic. Regardless of class, race or gender of depicted subject, Payton pays special attention to their inner state and the very situation in which they are being portrayed. On the other hand, the selection of models or the way they are being represented reflects the artist’s interest in different types of bodies and faces which may lead to her work being interpreted in regards to feminist and gender theory. Elizabeth Peyton was born in 1965, in Danbury, Connecticut. She began drawing at a young age, and in between 1984 and 1987 studied fine arts at the School of Visual Arts in New York City. Shortly after the end of her studies, Peyton worked several jobs and held only one solo exhibition in six years. Interestingly, in 1993 with the financial aid of Courtney Love, grunge femme fatale and then wife of Kurt Cobain, she had the first successful exhibition in the room of notorious Chelsea hotel consisting only of drawings. Afterward, the galerists noticed Peyton’s work so she started exhibiting at Gavin Brown’s Enterprise in New York since 1995, at Neugerriemschneider in Berlin since 1996, Regen Projects in Los Angeles since 1997, and Sadie Coles HQ in London since 1998. The usual technique Peyton uses is oil, but watercolor, pencil, and etching are present as well and her most frequent feature are washy glazes of dripping paint. The artist is pretty much inspired by the works of Nadar, Alfred Stieglitz, and Robert Mapplethorpe. The painterly process starts from photographs. Namely, Peyton uses to shot her subjects with either a standard 35-millimeter or a Polaroid camera, without any particular focus on composition or lighting and in 2002 transferred to a digital camera. The figures depicted are often slender, almost androgynous, and thus sexually ambiguous. They are usually involved in some kind of melancholic activity – sleeping, sitting or daydreaming. Since 2007, Peyton has included a still life to her range of subjects. The continued focus on stylization celebrities made her art being perceived as deriving from popular culture. 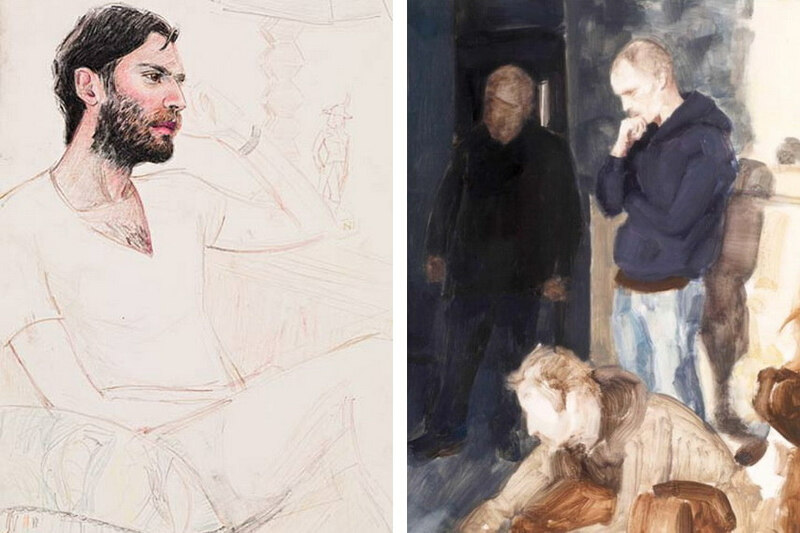 It is no wonder that one of her major influence is no other than notable painter David Hockney. From David Bowie, over Oasis’s brothers Gallagher, Jarvis Cocker, Princes William and Harry of The House of Windsor, to Kanye West, Payton has painted all of them in the same unpretentious manner. One of her works became a cover for the compilation album The Best of Suede. The artist has even collaborated with artist superstar Matthew Barney on a project titled Blood of Two, as well as with Jonathan Horowitz on a series of monotypes which develop upon the concepts of plants and flowers as motifs of love and death. 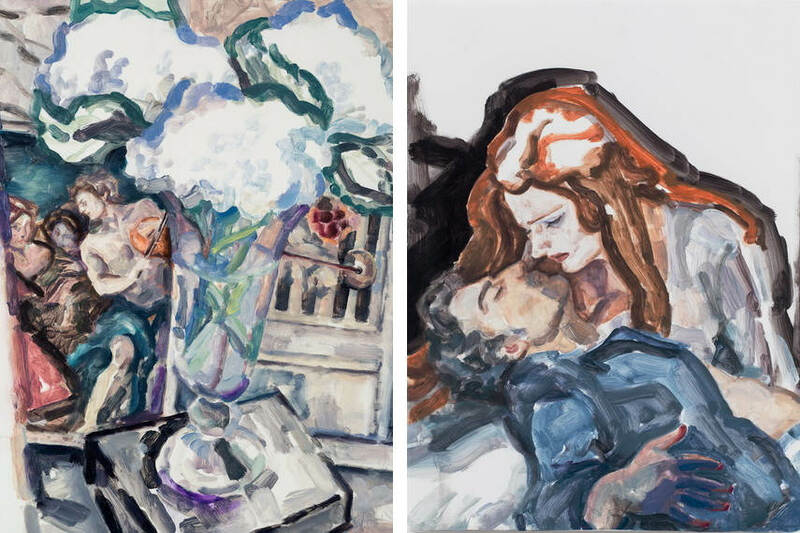 Over the years, the works of Elizabeth Peyton became part of various important collections from Centre Pompidou in Paris, over the Whitney Museum of American Art in New York, to Kunstmuseum in Basel. 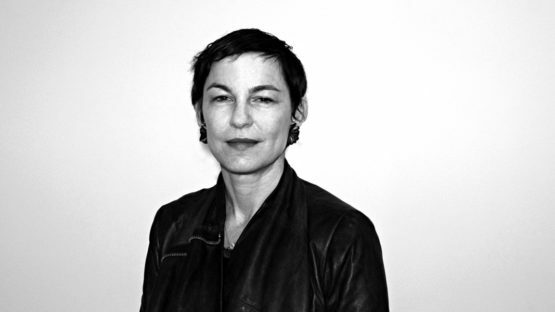 For her work, Elizabeth Peyton received in 2006, the 14th Annual Larry Aldrich Award honoring an artist who has had a significant impact on visual culture. In 2007, she was honored with amfAR’s Award of Excellence for Artistic Contributions to the Fight Against AIDS. Interestingly, this year the artist will show her works for the first time in Japan at Hara Museum of Contemporary Art in Tokyo. 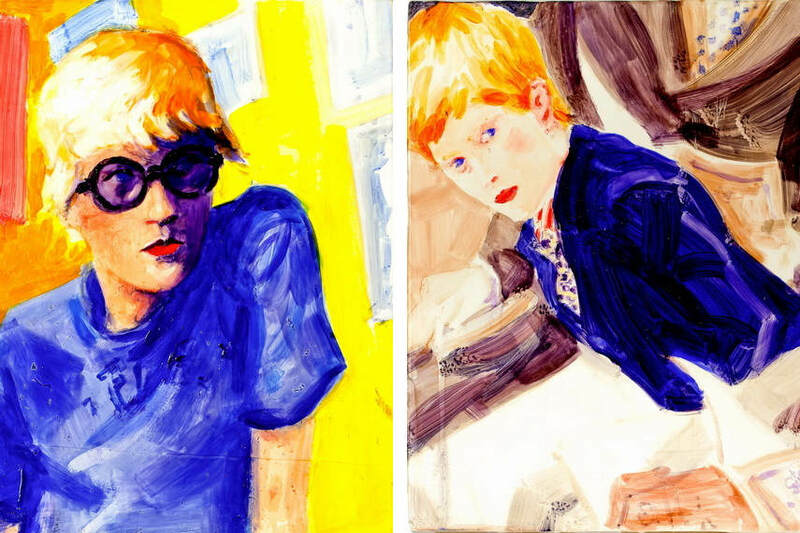 The works of Elizabeth Peyton were often seen as fashion illustrations, and at the same time, she has been credited for having revived the tradition of portrait painting. Therefore, the artist was described by a professional public as a forerunner of new Realism. The astounding body of work has not just revealed the immense contribution to reviving forgotten stylistic approach but suggests a particular insight in the studies of popular culture from a new perspective. 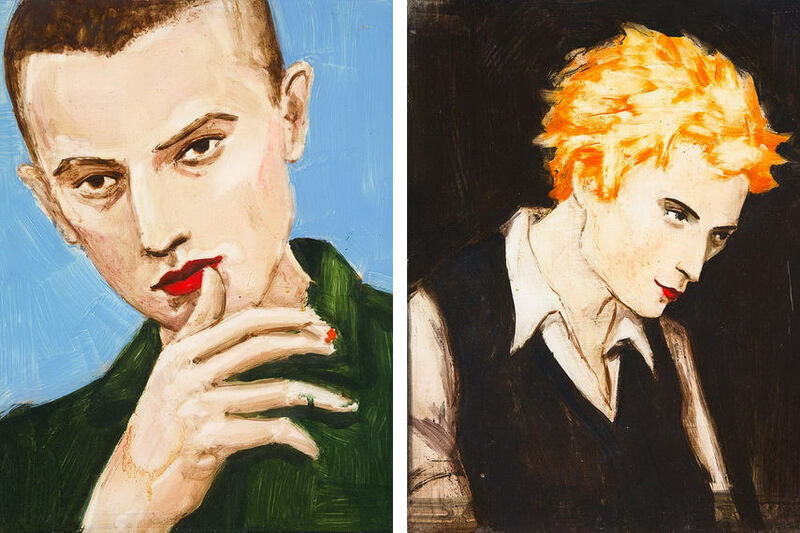 Elizabeth Peyton lives and works in New York and Berlin.